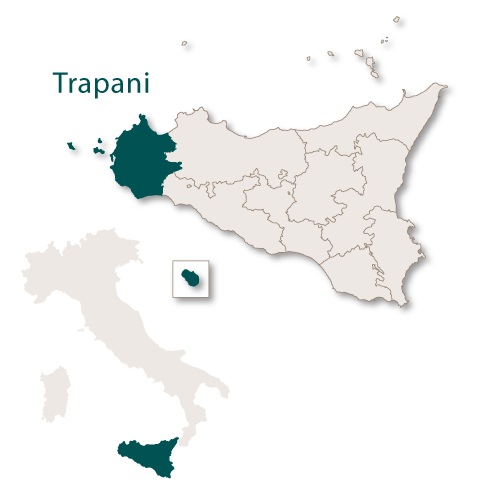 The province of Trapani has an overall area of 2,460 sq.km. 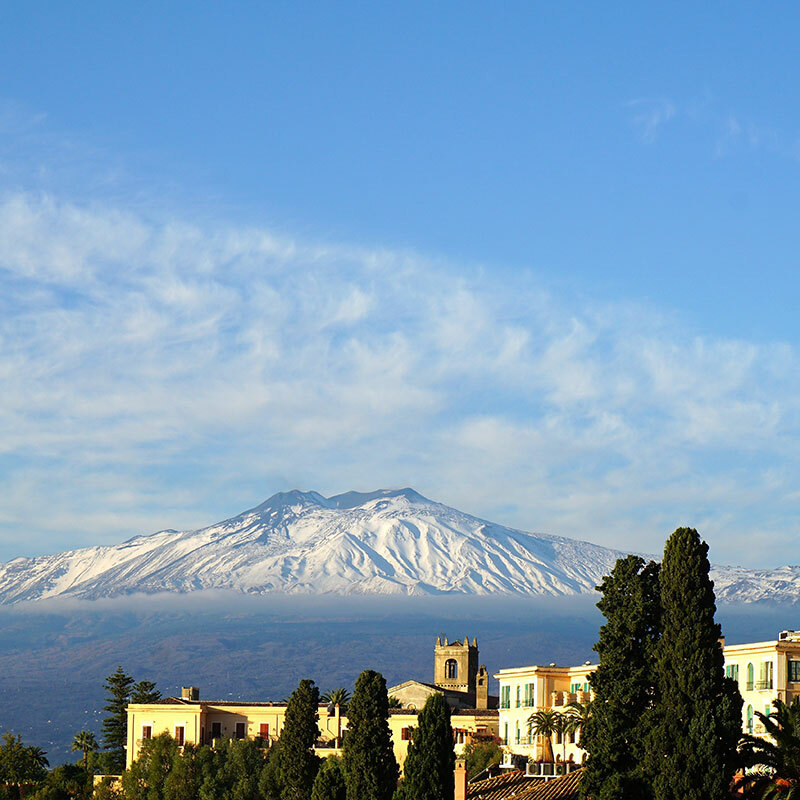 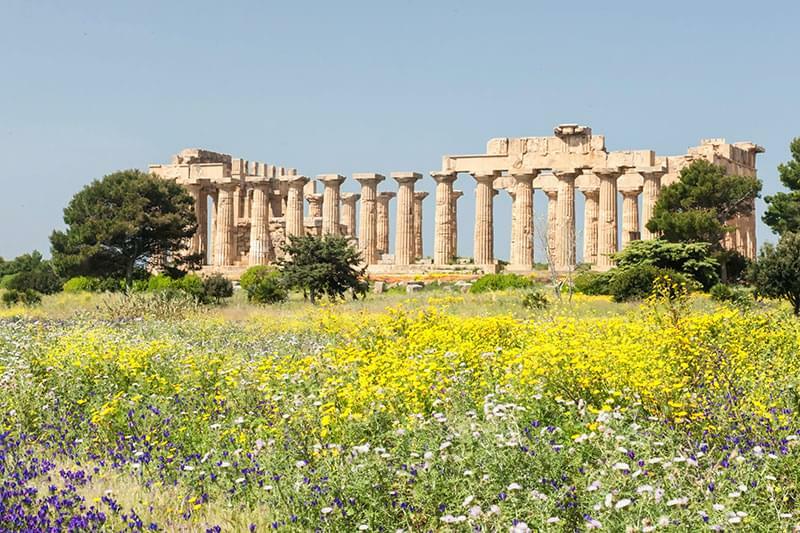 and border the Tyrrhenian Sea to the north, the Mediterranean Sea to the south, the Strait of Sicily to the west and the provinces of Palermo and Agrigento to the east. 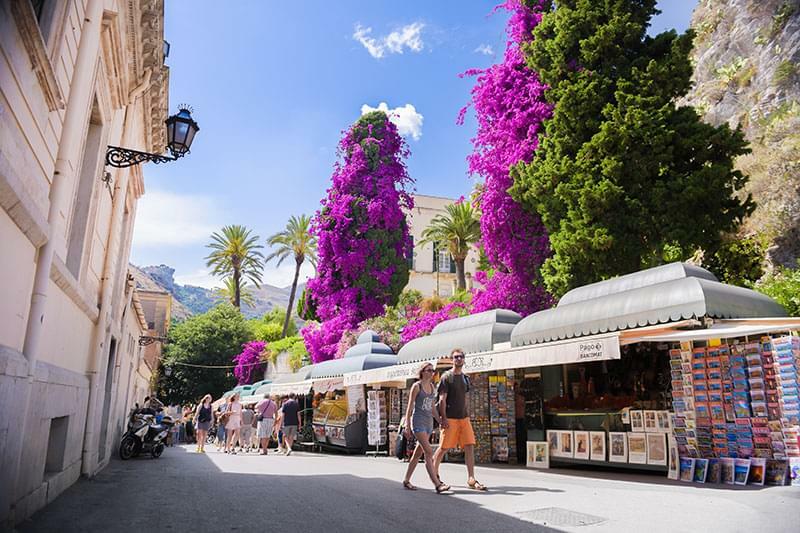 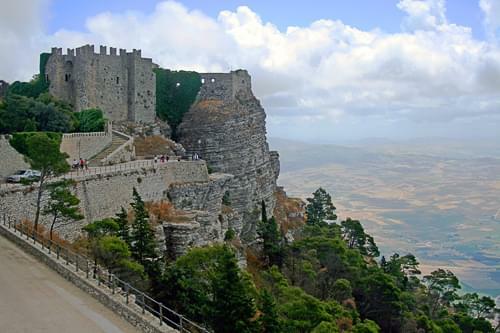 Although mountainous with only a few flat areas, most of the terrain is under one thousand metres and the northern portion of the province of Trapani is rugged compared to the south. 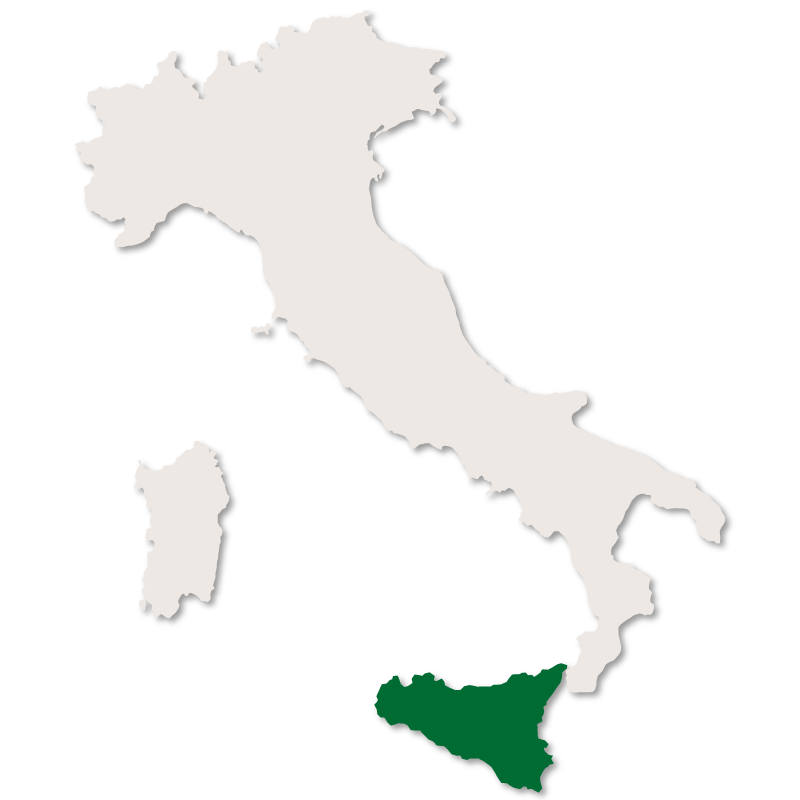 The Egadi Islands belong to this province as well as the coastal lagoon, Stagnone Lagoon, which contains four islands, namely Isola Longa, Isola Santa Maria, Isola San Pantaleo and Isola Schola. 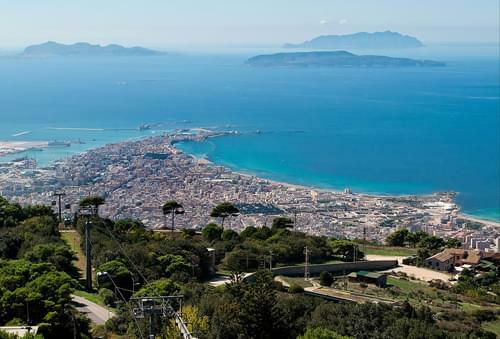 The lagoon is shallow and salty and the production of salt is one of the main industries of Trapani. 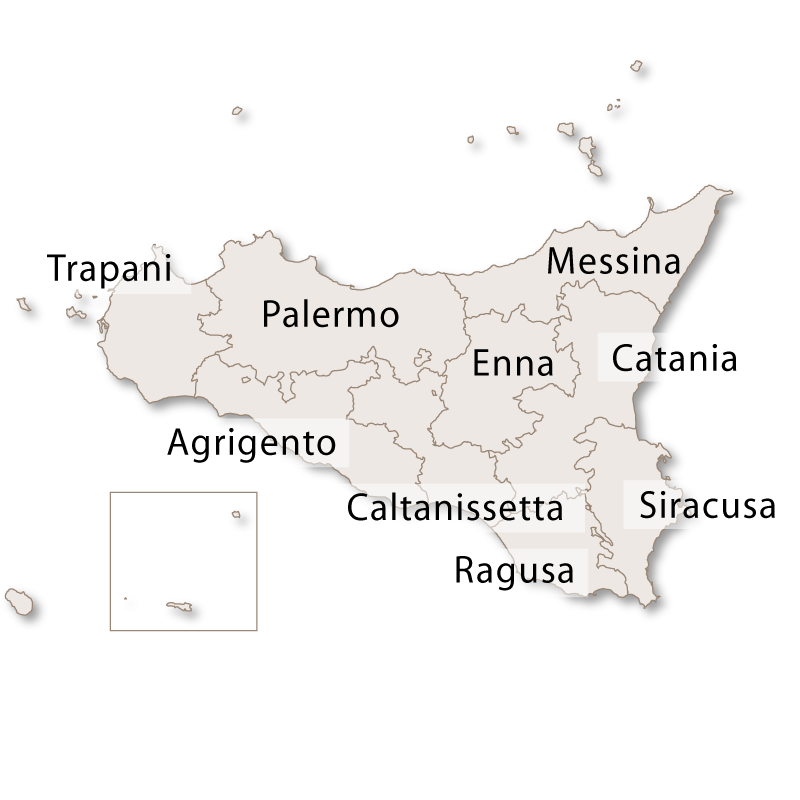 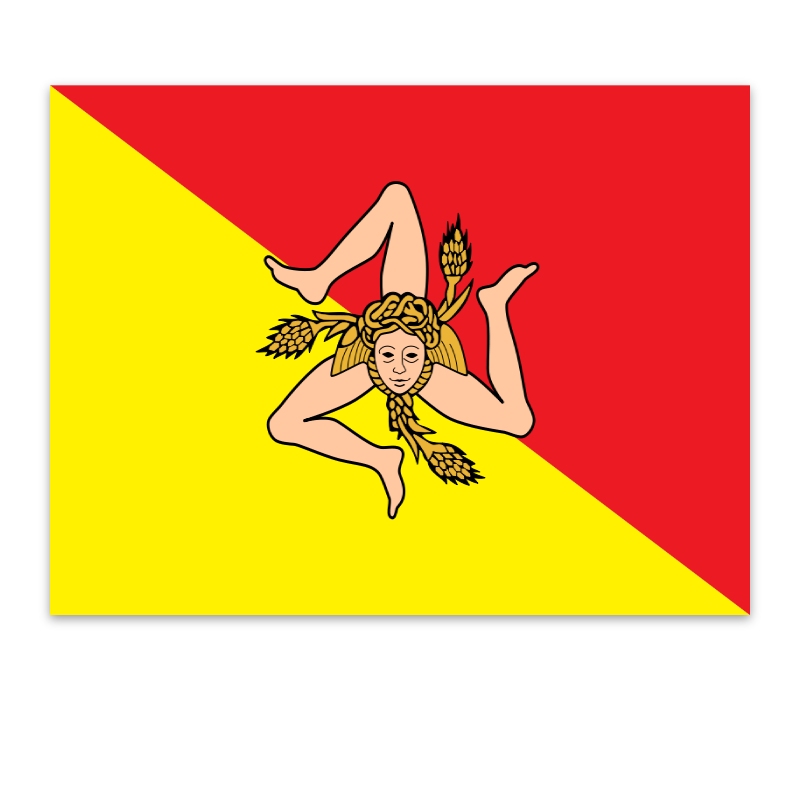 The capital city of the province is Trapani, and Marsala, although larger by population is the second city.